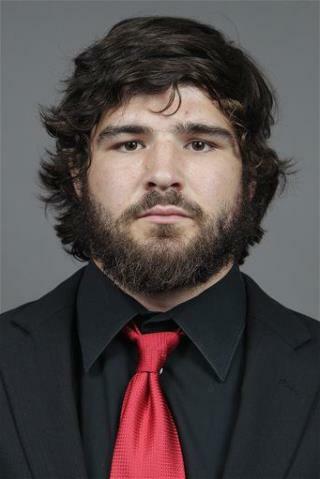 (Newser) – The New York Times has a heartbreaking look at Ohio State wrestler and football player Kosta Karageorge, who killed himself in 2014 after a lifetime of sports-induced anxiety and concussions. Karageorge lived his life to be "manly." He started playing contact sports at 10 and pushed himself to extremes to get bigger and stronger. By high-school he was losing patches of hair to stress-induced alopecia and showing signs of mental instability. Karageorge's wrestling coach once found him openly weeping while cleaning two guns on his weight bench; he was worried he wouldn't win the upcoming state championship. Karageorge halfheartedly denied he was going to harm himself had he not been interrupted. The girlfriend should be charged in his murder. She beat a disabled man and he killed himself because of the pain she caused. I recently saw a sign for something positive 'supposedly' being uttered in the media. It said, MAN UP. Those words have been proven, from many studies, to be the downfall of the psyche of many of the young men who believe the words. Fathers who EVER say that to boy should be horsewhipped. Sometimes it's hard to change the direction of a kid who is passionate about any sport, and as long as it's not injury prone, it's good for pride and leadership building. But something went wrong here, and the parents should be questioning themselves, as to the mistakes they made. They seem reactive to everything in his life instead of pro-active. That goes for that coach, too. This life could have been saved through a little psychiatric help, and a caring girlfriend. You can be strong without banging your head against stuff.